Rosy's Jazz Hall New Orleans, LA. 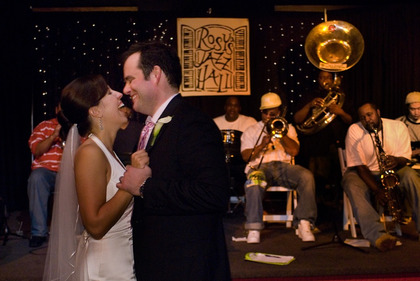 Truly unique New Orleans wedding ceremonies and receptions come to life at Rosy’s Jazz Hall. 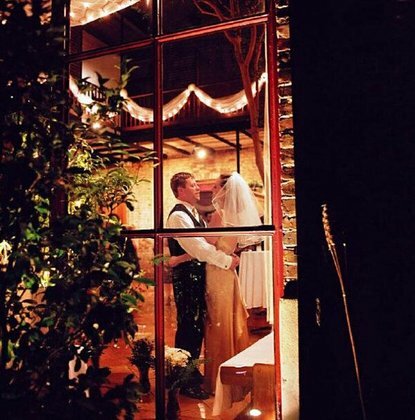 We are the historic New Orleans wedding venue that was once a legendary music club. 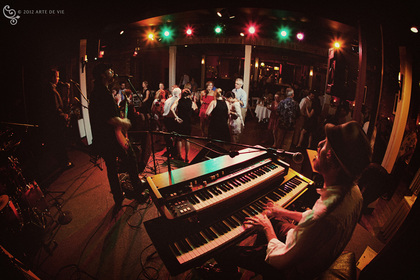 Rosy's Jazz Hall features an old New Orleans ambiance with hardwood floors, brick walls, and an outdoor patio. An indoor French Quarter style balcony overlooks our two-story atrium, where beautiful ceremonies are held under the canopy of two trees. We are always looking forward to helping create the next legendary wedding! 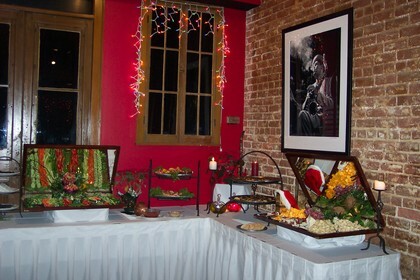 Our on site catering at Rosy’s Jazz Hall will meet all of your needs. 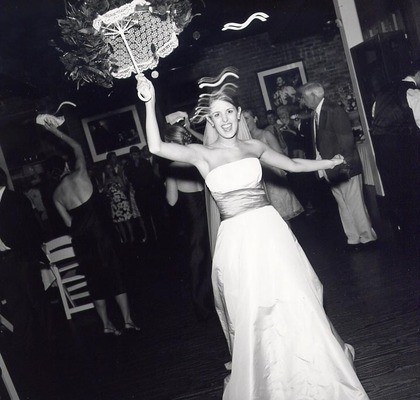 With award-winning catering menus featuring everything from Modern fare to traditional New Orleans classics to Old World Cuisine, there is something for your wedding guests’ every taste. We use top-quality ingredients all creatively and attractively displayed by our staff of in-house chefs. China, glass, and silver are always used on the buffets. Wrought-iron candlesticks and other signature decor items further enhance the buffets. Our all-inclusive packages start at just $49 per person and include an open call-brand bar, hot and cold hors d’ouervres both passed and stationed, as well as all tables, chairs, and white linens. 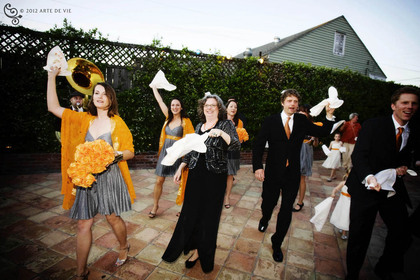 We welcome the opportunity to work with you in planning a most memorable New Orleans wedding. This place is beautiful and has so much character. We planned on having the ceremony outside but it stormed and hailed that day. 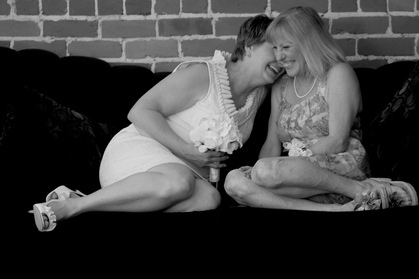 The weather cleared up by the time the wedding started, but being inside was even better than I could have asked for. The ceremony was so intimate. 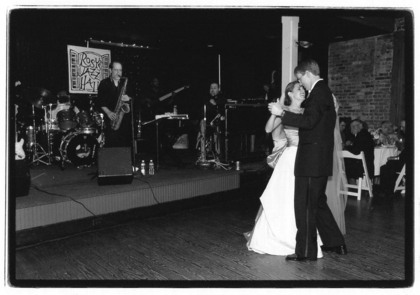 Guests really enjoyed every detail about the place from the brick walls, to the black and white jazz photos. Also, the food was incredible. People are still raving about it. Steve, Darlene and all of the staff were so friendly and took care of EVERYTHING. 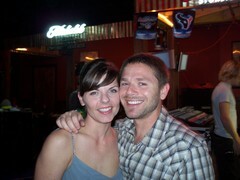 They mingled with guests to make sure everyone was having a wonderful time. If you want a unique experience and work with hospitable people that know what they are doing, this is your place! I highly recommend it. 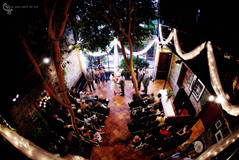 Though New Orleans has no shortage of options for wedding/reception venues, not all of them appeal to those of us looking for something a bit less traditional. Rosy's was perfect. The site still feels like a jazz hall but can be dressed up or down depending on the event. 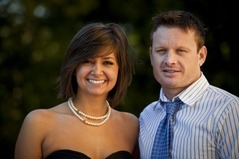 Steve and Darlene were great to work with both before the event and the day of. 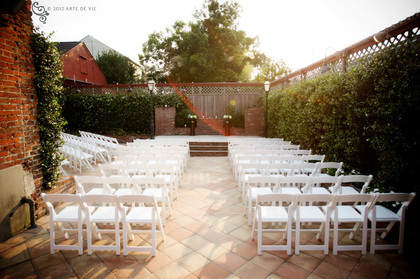 In fact, because of weather-related concerns, we were able to change our plans for the ceremony set up at the last minute without so much as a moment's hesitation from Steve or Diane and their staff. 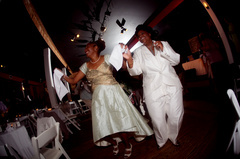 The food was delicious, the bar made our guests very happy and the staff made sure the brides were well taken care of. We're looking for any excuse to attend or host another event at Rosy's! Rosy's was GREAT! They were so professional. So helpful. Steve makes wonderful food that our guests raved about. And Darlene is the best coordinator ever! Everything went smoothly and we couldn't be happier!